Dr. Alan S. Berger is a Board Certified Otolaryngologist and an attending surgeon at Abington Surgical Center, Blue Bell Surgical Center, Chestnut Hill, Einstein Medical Center Montgomery, Mercy Suburban, and Roxborough Memorial Hospitals. Additionally, Dr. Berger is an affiliate staff member at Abington Memorial Hospital. He has held faculty appointments at Hahnemann University, Temple University and St. Christopher's Hospitals. 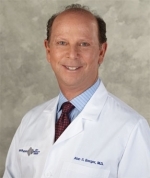 A published author and frequent lecturer, Dr. Berger completed his specialty training at Temple University Hospital. He is an honors graduate of Tulane University and received his medical degree from Temple University Medical School. A Diplomate of the American Board of Otolaryngology and Fellow of the American College of Surgeons, Dr. Berger is a member of many local and state medical societies. In addition, he is a member of the American Academy of Otolaryngology -- Head and Neck Surgery, the American Academy of Facial, Plastic and Reconstructive Surgery and the AMA from which he is a recipient of the Physician's Recognition Award for Continuing Education.